5 years ago A$AP Rocky released his debut album ‘Long.Live.A$AP.’ The album spawned a number of hits but perhaps none more so classic than ‘1 Train‘, one of the best posse cuts of the decade, if not ever. 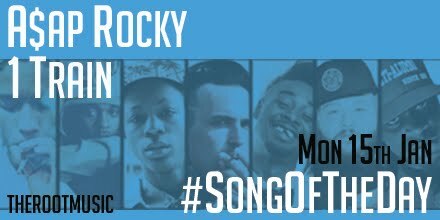 With verses from seven of hip-hop’s best rappers of the generation, it could be #SongOfTheDay everyday for us. Posted in UncategorizedTagged A$AP Rocky, Action Bronson, Big KRIT, Danny Brown, Joey Bada$$, Kendrick Lamar, YelawolfBookmark the permalink.